We deal with our "issues" every day in one form or another. After a while, they start to feel... normal. Just part of who we are. And we forget that we have access to the power of Christ - a power that can transform our everyday weaknesses into our greatest strengths and gifts. 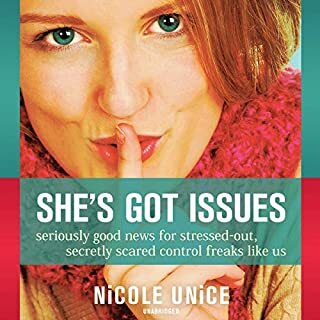 In She's Got Issues, Christian counselor, ministry leader, and regular mom Nicole Unice explores the ordinary issues that are keeping you from the full and free life you were meant to have. 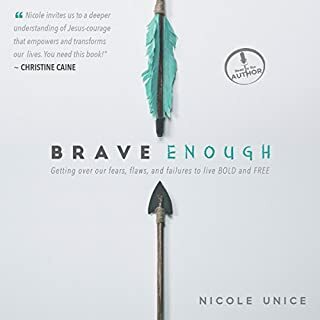 Nicole shows you how to let God freely shape your character and transform your life from ordinary to abundant. Let's be honest: the life you're leading isn't the one you've always dreamt of. And maybe the person you've become isn't who you imagined you'd be. Sure, you can work longer, love harder, and eat better. You can scrub the surface of your life until it gleams. But that won't address the fact that you've somehow lost sight of who you really are. Working from the core message of Ephesians 1:11, Jo Saxton implores women to reject mistaken identities. 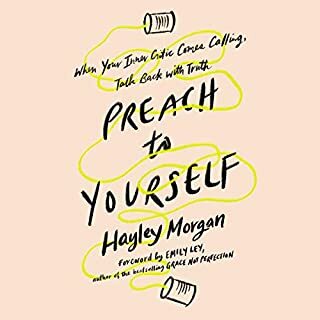 Relying on personal stories from her own life, she identifies key scenarios where identities develop that are not true to God's vision, demonstrating the importance of knowing one's name, embracing the gifts you've been given, confronting body issues, managing seasons of depression and grief, and letting go of perfectionism. "It just shouldn't be this hard!" Raise your hand if you've ever had a day where everything that could go wrong does go wrong - you lock your keys in the car while it's running, lose control with your kids, make a mistake at the office that results in hours more work. And just when you think not one more thing could possibly happen ... well, fill in the blank. The struggle is real, friends. It may not be major stuff. Lives are not on the line here. But it makes us feel awful... and then we feel guilty for stressing when other people have "real" problems that are so much more serious. Yet the fact remains: we live in a world that often feels harder than we think it should be. 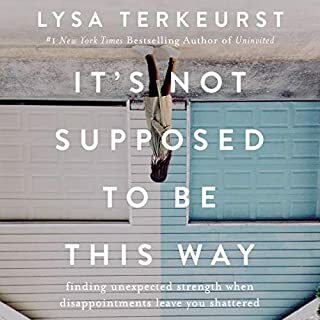 And so it can be easy to believe the stories we tell ourselves - that we're doing it wrong, that we'll be stuck in this place forever, that God doesn't love us. We struggle to practice gratitude, to make godly choices, and to live our daily lives with confidence and contentment. So what can we do? ©2018 Nicole Unice (P)2018 Blackstone Audio, Inc. 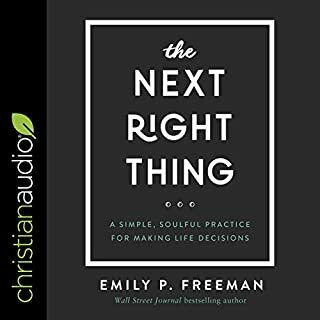 Personal stories, easy to understand truths, and practical help that will change your thinking. Nicole Unice is real and honest. 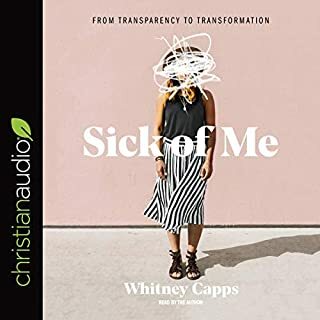 If you find yourself struggling with being "stuck", putting up walls to protect yourself, or unhealthy patterns that repeat themselves, you need to read this book! Her insight will help you identify wrong thinking and how that has created a storyline in your life. 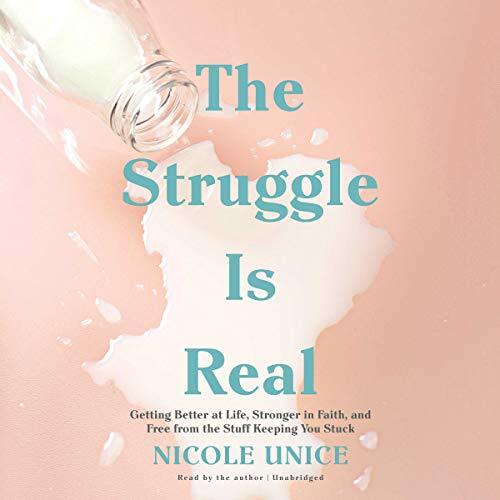 Get ready to experience freedom and a new chapter as Nicole shows you that although your struggle is real, it can also be good. I listened to this after having read the book. It’s like you are getting a personal one on one teaching from Nicole. By listening and reading, it allowed the rich lessons to sink in further. Highly recommended!